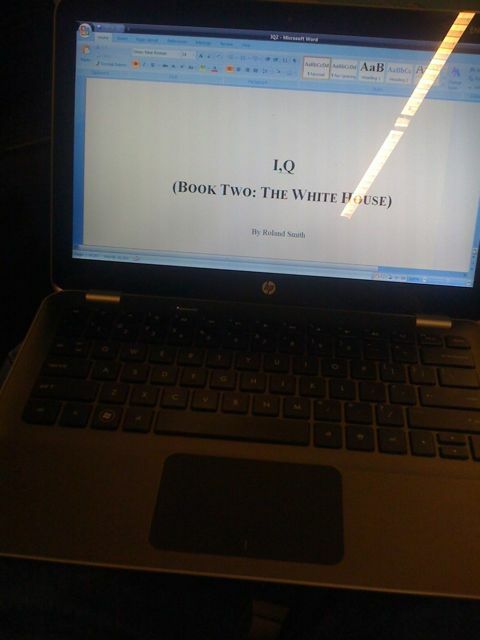 Home » Blog » IQ Book Two: The White House » I,Q Two Final #47. Richmond, VA. Writing and posting on the fly today. Headed to Richmond, VA to visit schools, via Atlanta, GA. I guess I should mention this, because it’s kind of related to writing… I bought a new laptop yesterday. This will not be huge news to anyone who knows me, especially Marie, as I usually buy a new one every year or so. I bought a medium size 64 bit bright one with a long battery life, despite the fact that my previous road machine was perfectly fine, although quite a bit slower then this shiny new one. I wanted to get something slightly bigger and clearer for all the web conferencing and Skype visits I’m doing. At least that was the justification, which doesn’t take much for me when I stumble across a new machine that I covet. The truth is that I get a bit bored typing on the same machine day in and day out. And my family is delighted when I get a new one because they know that they will get the new one as soon as I get tired of it. I supose there could be worse vices. The strange thing about this is that Marie knows I’m going to get a new laptop before I know I’m going to get it. It’s a little scary when your spouse knows you bettter than you know yourself. I texted her from the computer store and told her. Her response was: “I knew that.” Even though I didn’t “know that” until I saw it on the shelf. I was in the computer store killing time because my dry cleaner wasn’t open yet. Long flight to Atlanta then Richmond. Then I’ll wait up for Marie to join me in Richmond from DC. She won’t get in until late, so I hope to get in a lot of work on IQ2 on the long flight and at the hotel. It’s amazing what 24 hours at the farm does for me. It’s like going to a spa. I can breath there. As I stepped out the back door this morning, leading my carry on like a medium sized black dog, it started to rain (which is why everthing is green here in Oregon). Below is the view on the way to PDX. 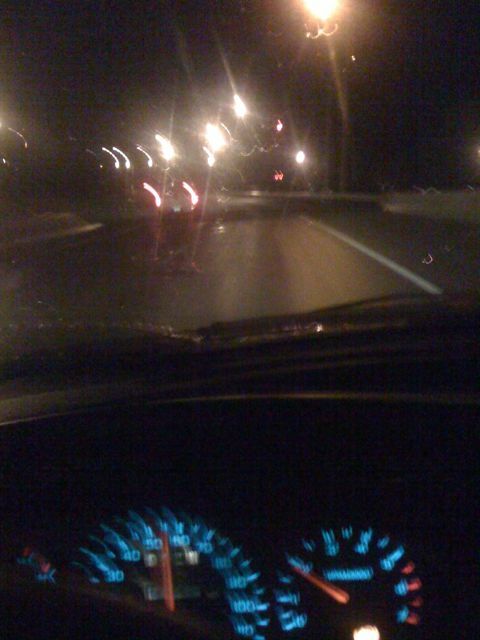 Our car can drive to the airport by itself. hi Mr. Roland Smith i saw you at Rolf middle school and i liked it and you were funny and very cool. Hello Mr.Smith,Thank you for coming to Rolf middle school yesterday on march 31 you were more funnier than i expected. i have read your book peak and in the middle of IQ.your stories and the places you have been were interesting and made me want to visit Kenya.And i really enjoyed the Billy stories you told us he seems really cool. I’m upset that Roland keeps on changing the release date of IQ2!!!! I don’t know if you remember, but you came to my school, Wyandot Run in Powell, OH. I am in fourth grade. I sat in the front row for your speach. It was so inspiring. I’ve read Peak, (love it) Crypid Hunters and Tentacles (AMAZING), and IQ! CANNOT WAIT FOR THE SECOND ONE! <3 YOU ROLAND SMITH! Anything interesting I can share in the intro?? Hey Mr. Smith I remember you when you came to our school a few weeks back you were really funny. I cant wait till I. Q. comes out and I hope it is as action packed as the first one which i just finished about ten minutes ago. I loved those Billy stories and hope he keeps on backflipping. CURRENT ROLAND SMITH BOOK READING STATUS: IVE READ ALL OF YOUR CHAPTER BOOKS!!! ← I,Q Two Final #46. Marie at the Smithsonian.